Fultonville, NY-Mr. Ronald M. "Ron" Colegrove, age 83, of 4215 State Route 5s, Fultonville, passed away peacefully in his sleep on Wednesday, December 27, 2017 at St. Johnsville Rehab and Nursing Center, Inc. He was born on November 12, 1934 on the family farm in Freysbush, NY and was the son of the late Morris and Marjorie Colegrove and educated in Fort Plain schools. He was a farmer and laborer throughout his life and was a very comical man. He enjoyed camping, gardening and spending time with his family, especially his grandchildren, Shelby and Travis. In his early years, he showed cows at the Fonda Fair where he had several champions and grand champions. 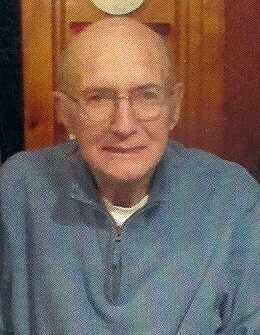 Ron was a retired volunteer with both the Ames and Canajoharie Fire Departments, where he put in many dedicated hours. Ronald was predeceased by his parents, his sister, Beverly Horning, brother in law, Robert Watkins, niece, Barbara Hillabush. Survivors include his wife Shirley A. Colegrove of Randall, son, Randy (Dawn) Colegrove of Canajoharie, granddaughter, Shelby (Josh) Colegrove of Canajoharie, Travis Colegrove of Canajoharie, a sister, Geraldine Watkins of Fort Plain, niece, Deanna Marsh of Fort Plain, sister in law, Linda Winsman of Randall, brother in law James Winsman of Fonda, sister in law, Dawnna Winsman of Amsterdam, nephew, Robert Watkins, II of St. Simons Island, GA, several cousins, nieces, nephews, great nieces, great nephews. There will be a celebration of life for Ron at the Canajoharie Fire House on January 13, 2018 to which family and friends are invited to pay their respects from 1-5 p.m. In Ron's memory kindly consider sending memorial offerings to Canajoharie Fire Dept., Ayres Animal Shelter or to the American Diabetes Association. For details please contact Randy Colegrove via Facebook or contact Mohawk Valley Funerals and Cremations, 7507 State Route 5 (town of Manheim), between Little Falls and St. Johnsville, 315-508-5131, which has been entrusted with Mr. Colegrove’s funeral arrangements. To offer an online note of condolence, click to the left.